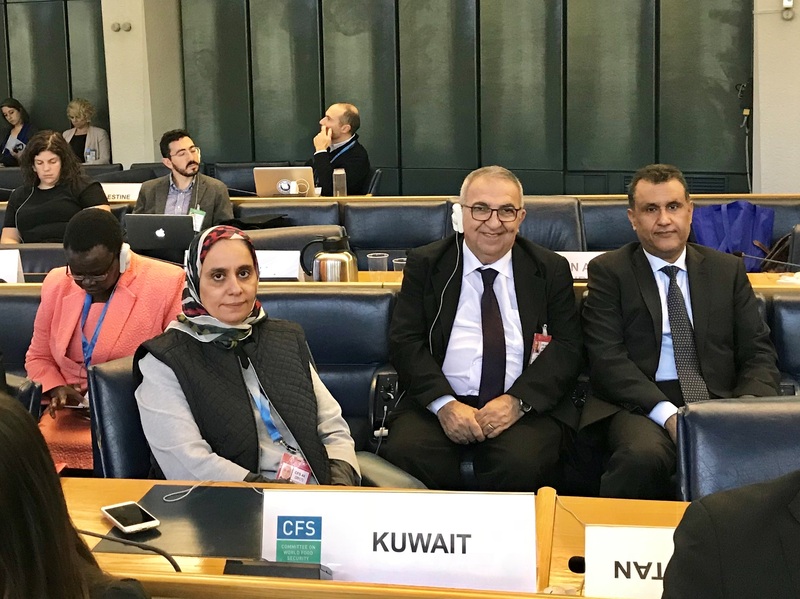 ROME, Oct 13 (KUNA) -- The State of Kuwait has achieved highest positions in terms of food security on both Arab and global levels, said head of the Kuwaiti delegation to meetings of the Committee on World Food Security (CFS) on Friday. 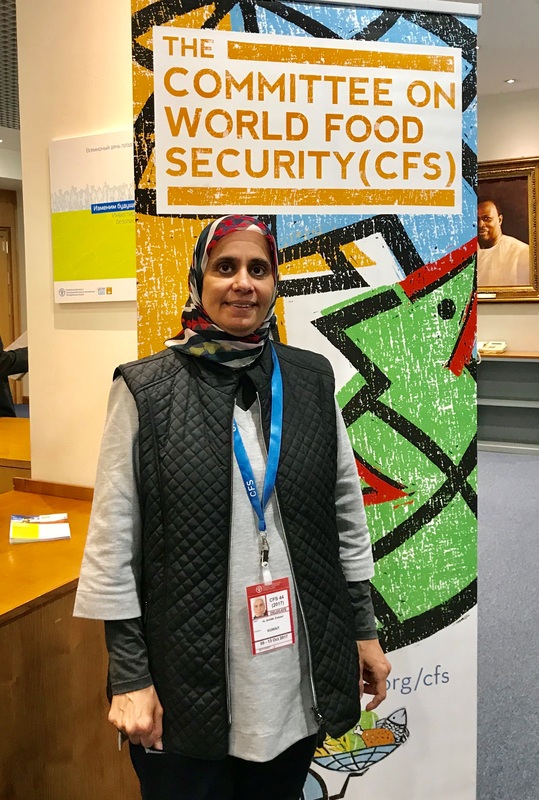 Intisar Al-Shami, head of food security department at Public Authority for Food and Nutrition (PAFN), made the statement to KUNA while presiding over a delegation during the meetings' CFS held this week in Rome, the headquarters of Food and Agriculture Organization (FAO). 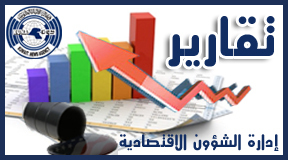 She indicated that Kuwait is paying much attention to food security, stating that it won the first position on the Arab level and the 26th globally according to the 2017 Global Food Security Index. Upon instructions by His Highness the Amir Sheikh Sabah Al-Ahmad Al-Jaber Al-Sabah, State institutions have exerted comprehensive efforts to provide safe and heathy food to the population in Kuwait, she said. Such efforts resulted in the establishment of PAFN within a comprehensive national strategy, she stressed. 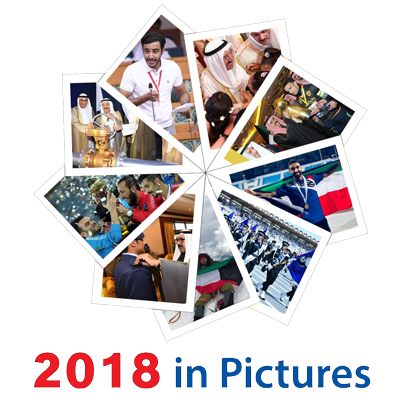 The authority's participation in the committee's meetings concluded late Friday and was a fruitful chance to be briefed closely on policies and expertise, and keep pace with the latest international accomplishments, she made clear. Meanwhile, Jose Graziano da Silva, Director General of FAO, called for drawing up more effective policies to secure sustainable food systems. He affirmed that companies and consumers should play big roles in reforming the global food system at a time when the world is witnessing a rise in both hunger and obesity rates at the same time.